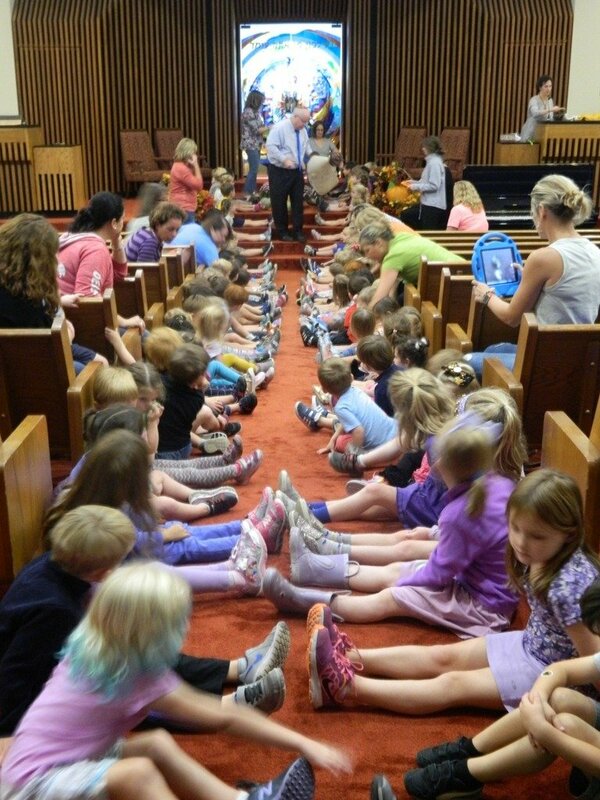 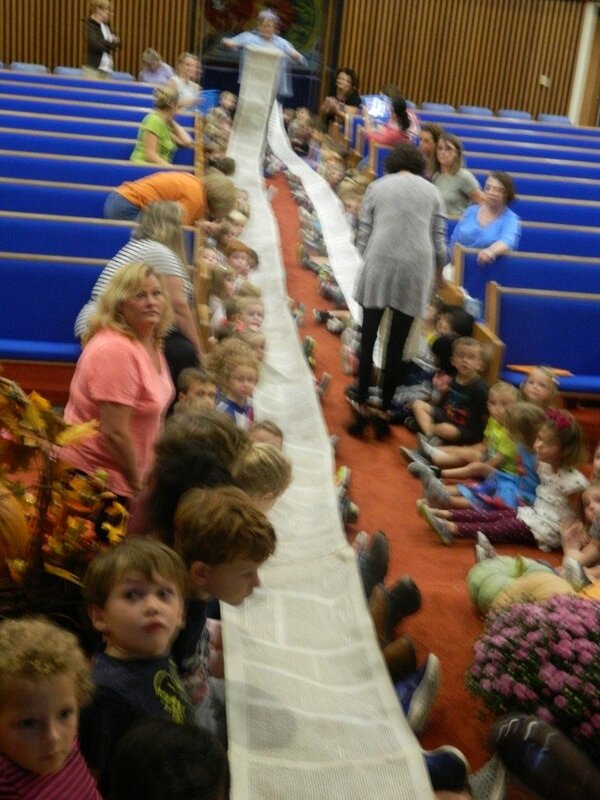 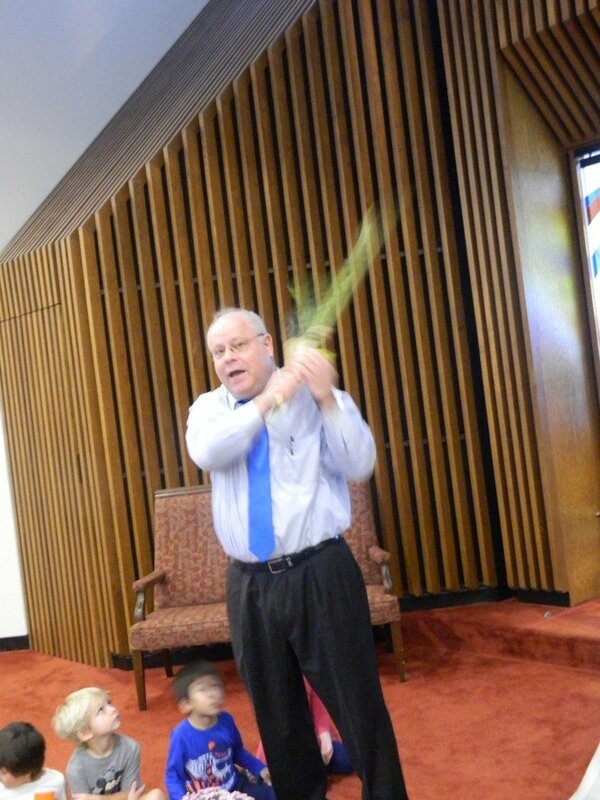 Rabbi David teaches our preschool about Simchat Torah. 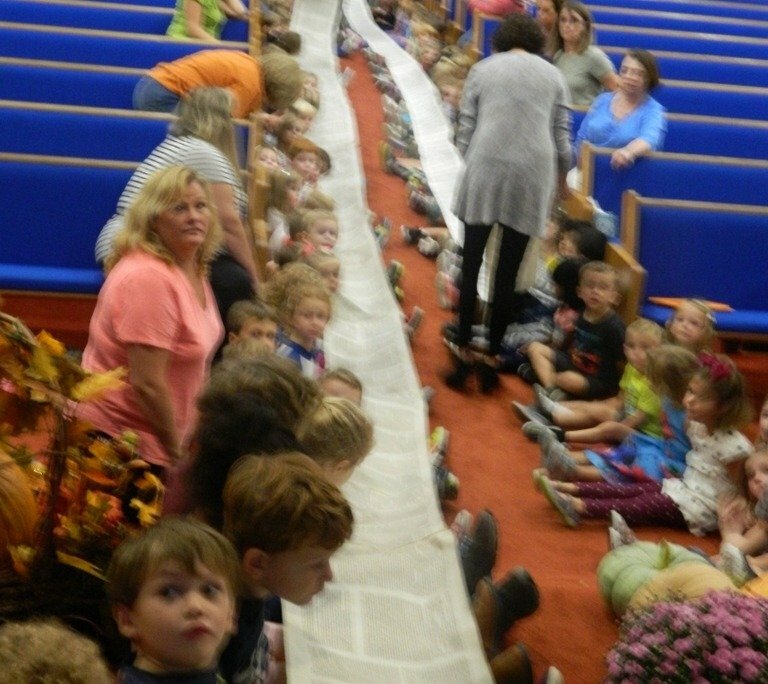 Simchat Torah, Hebrew for “rejoicing in the Torah”, celebrates the completion of the annual reading of the Torah. 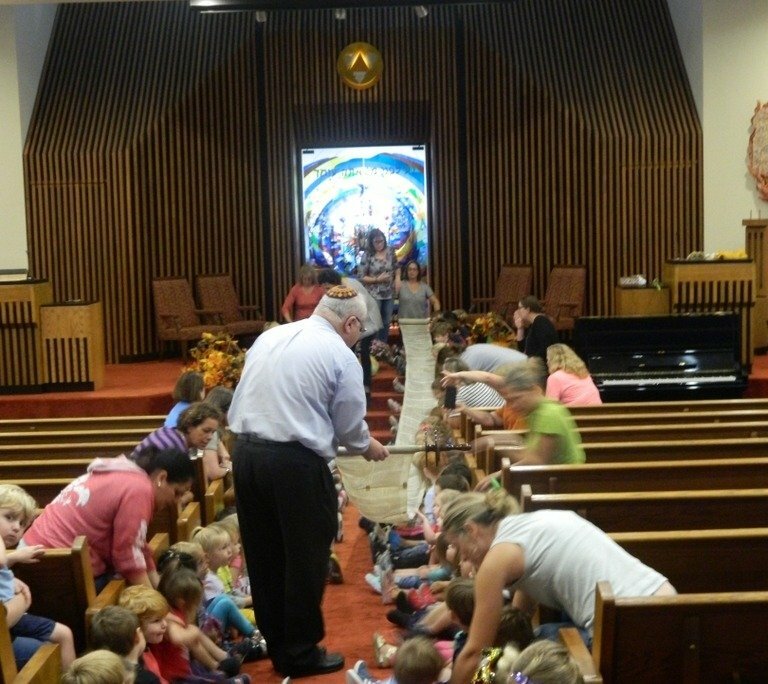 Simchat Torah is a joyous festival, in which we affirm our view of the Torah as a tree of life. 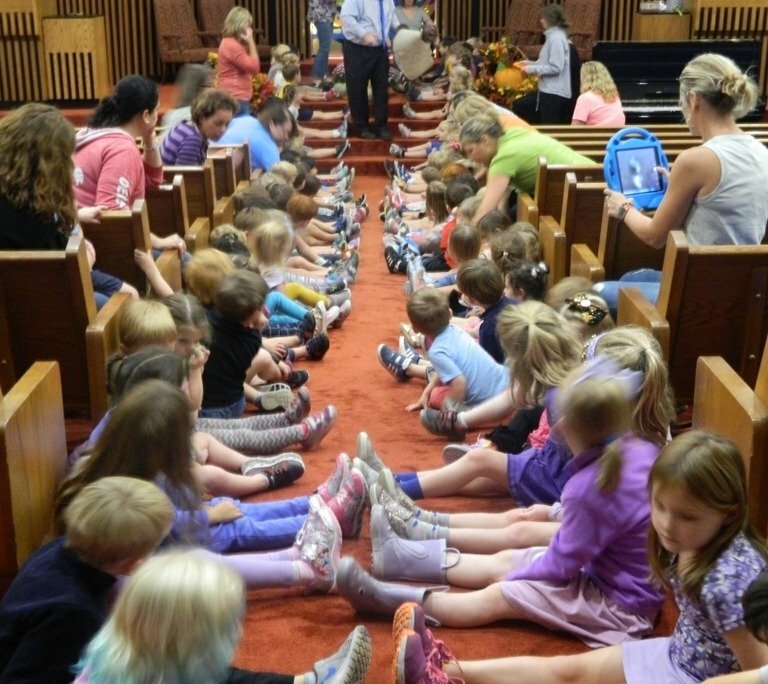 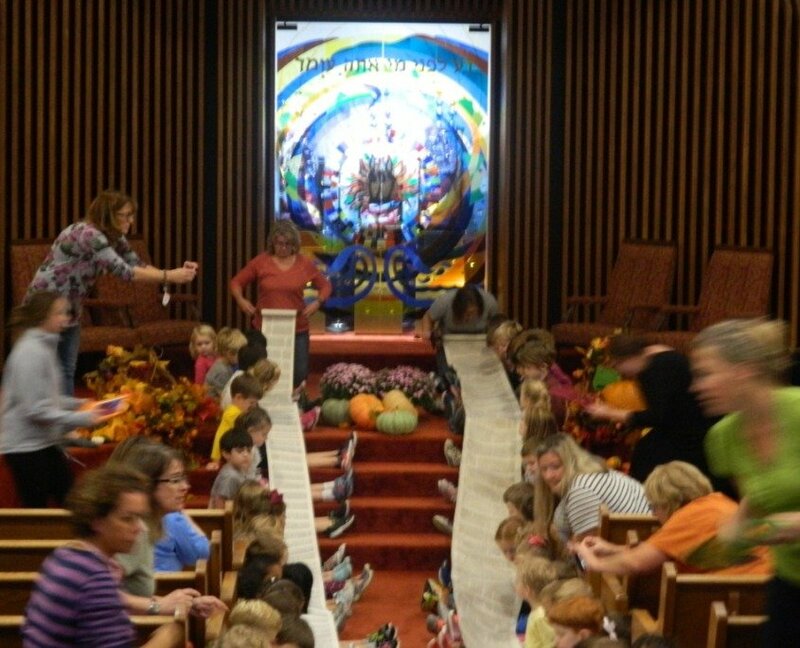 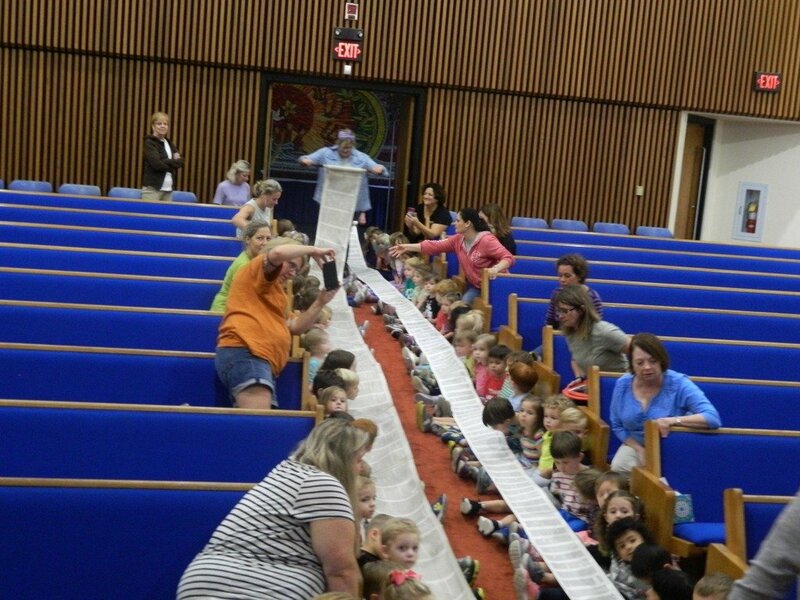 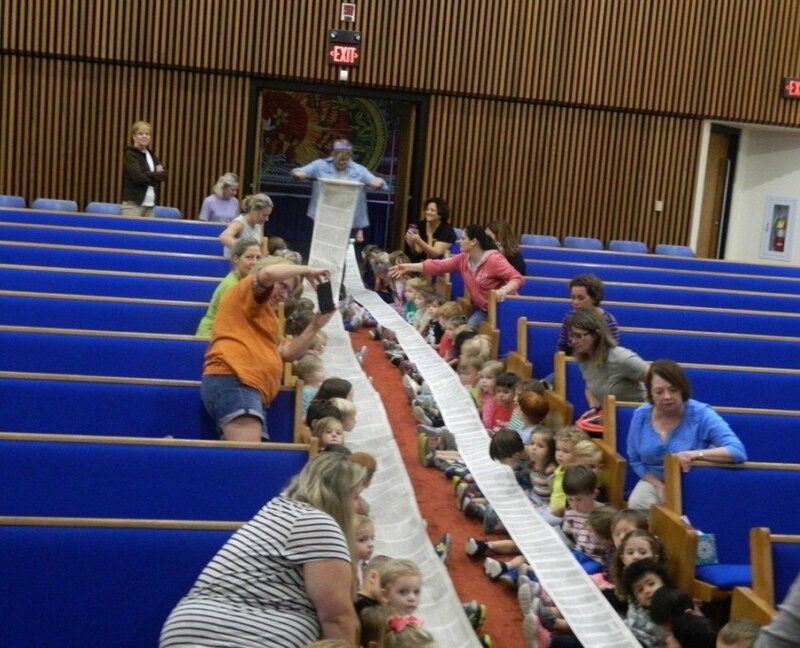 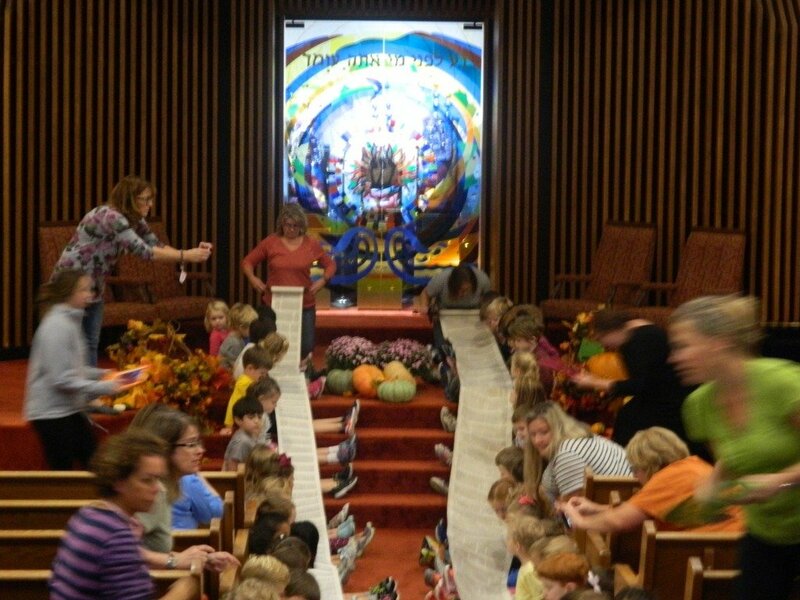 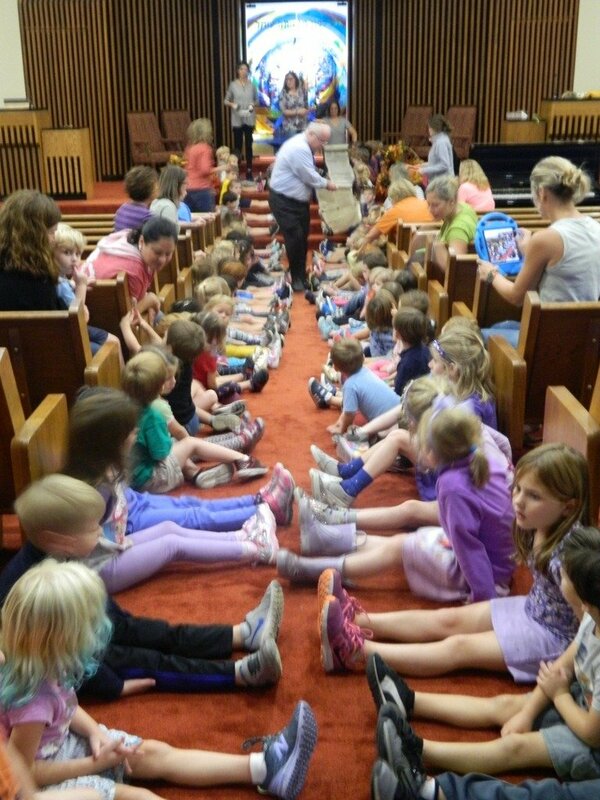 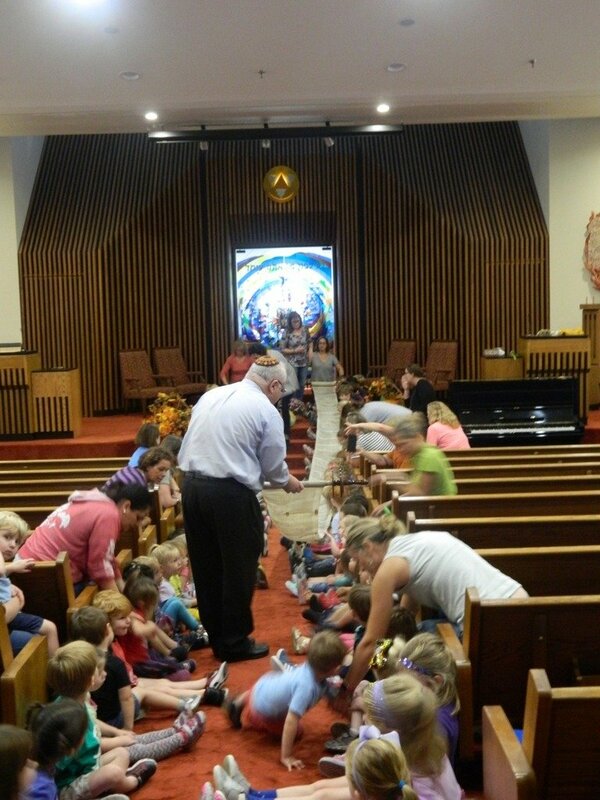 At The Temple we welcome our first grade students with a service of Consecration, the Torah scrolls are taken from the ark and carried or danced around the synagogue in a special family oriented service that is shared by all. 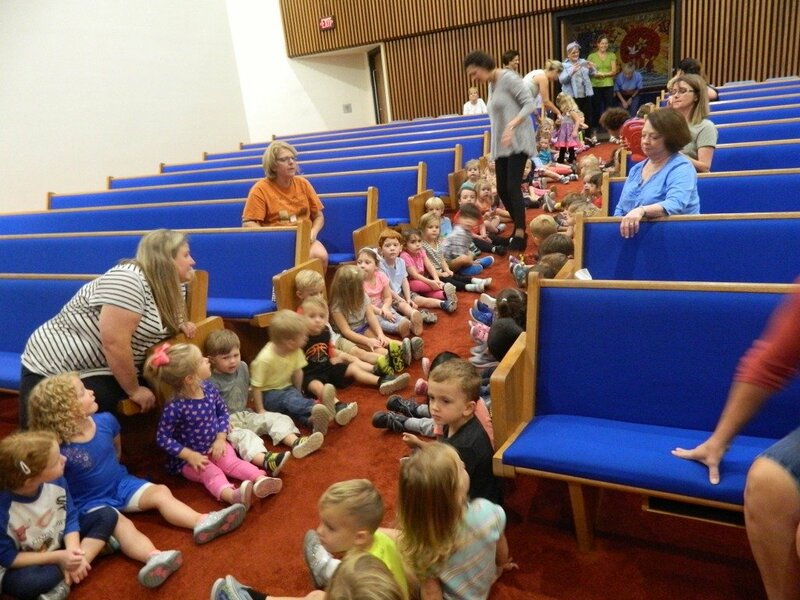 The Temple Trager ECEC fosters a learning environment. 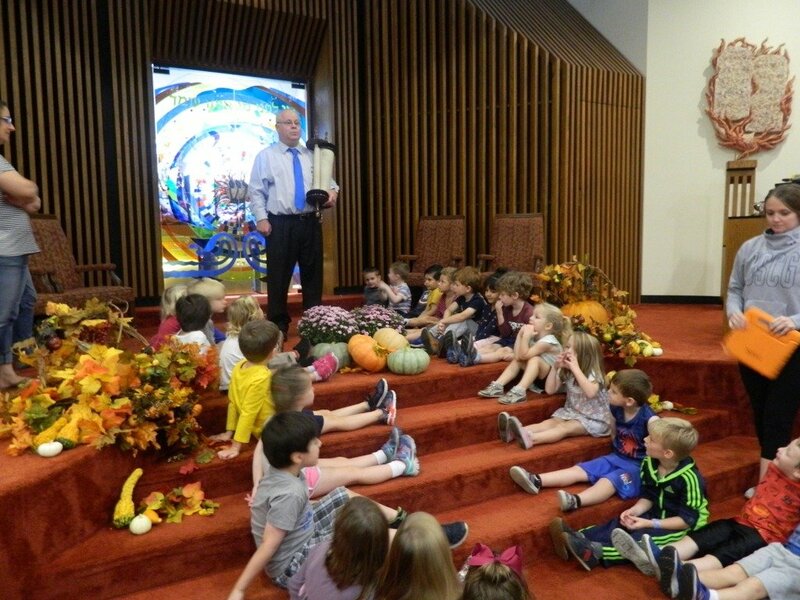 We encourage intellectual, social-emotional, spiritual and physical experiences for ages 6 weeks – Kindergarten. 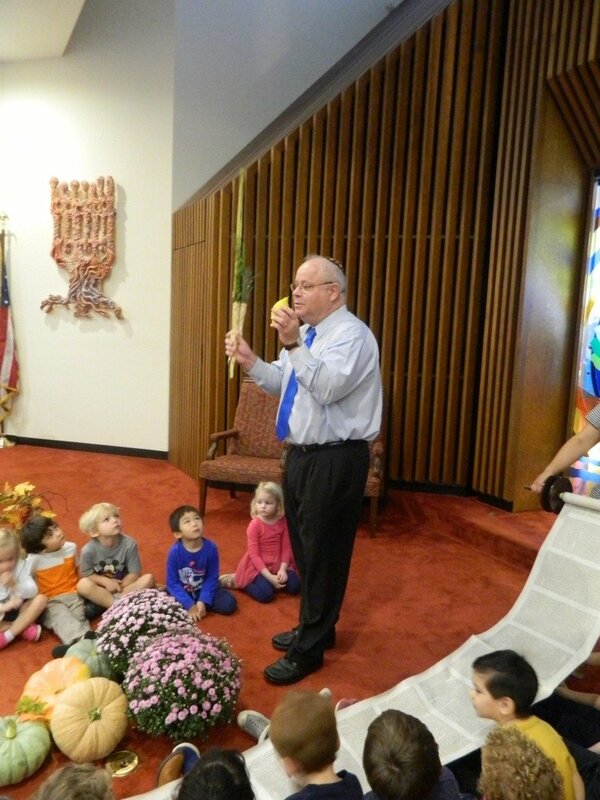 The Temple Trager Early Childhood Education Center (ECEC) is a Liberal Jewish Preschool. 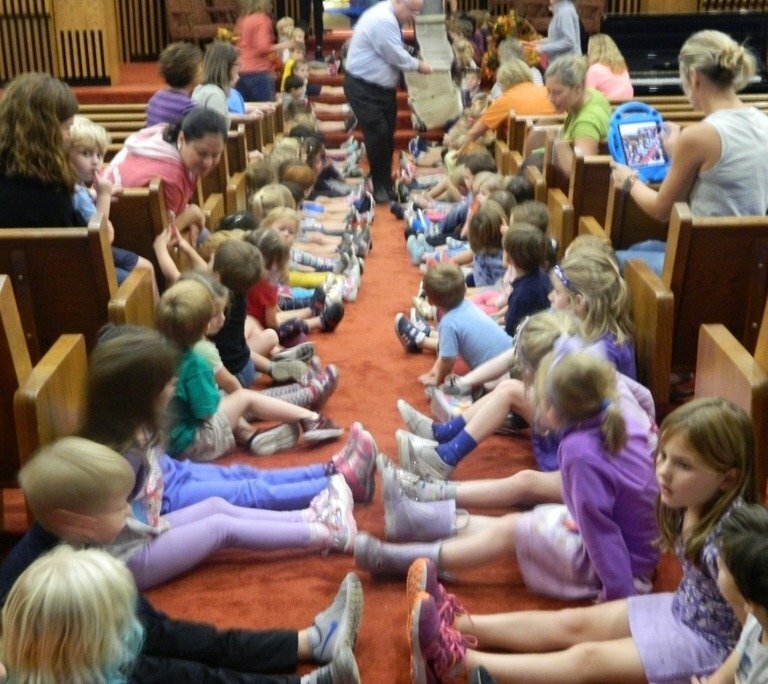 It presents a broad-based curriculum within the context of moral and ethical values. 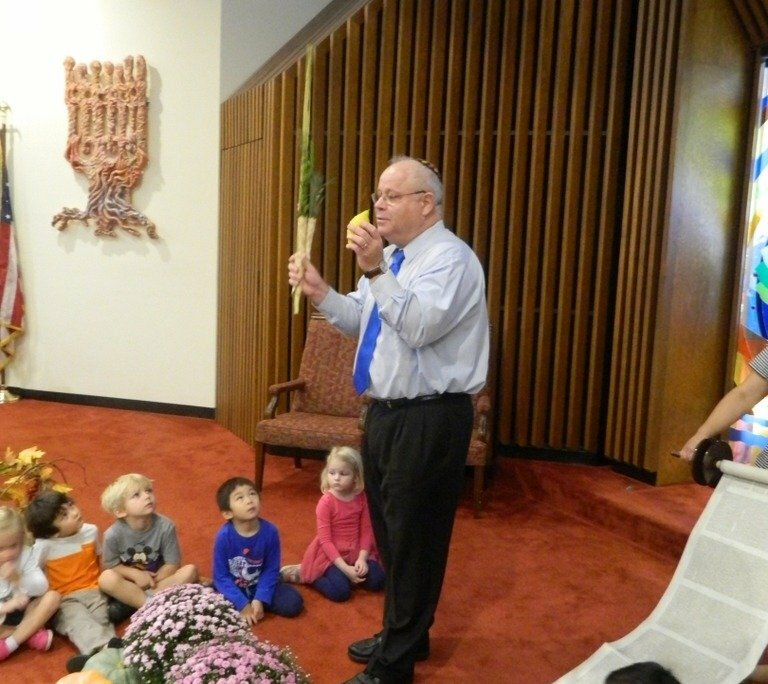 Our students study the Jewish holidays as they arise throughout the year. 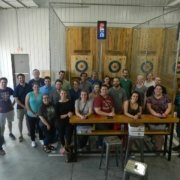 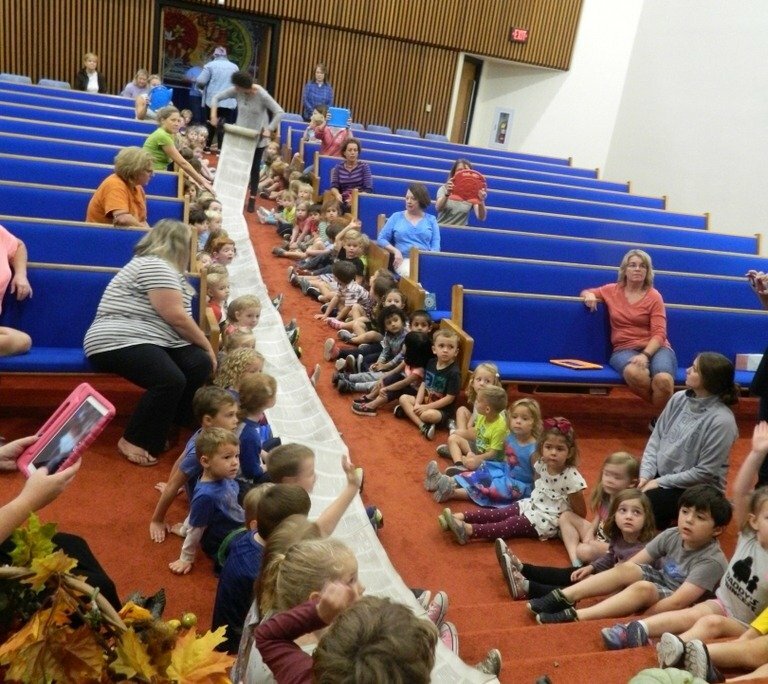 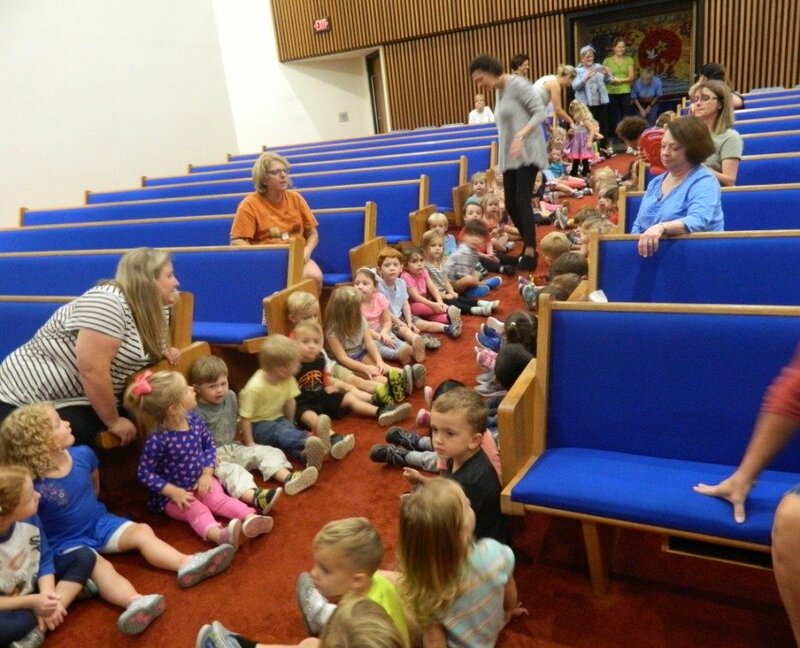 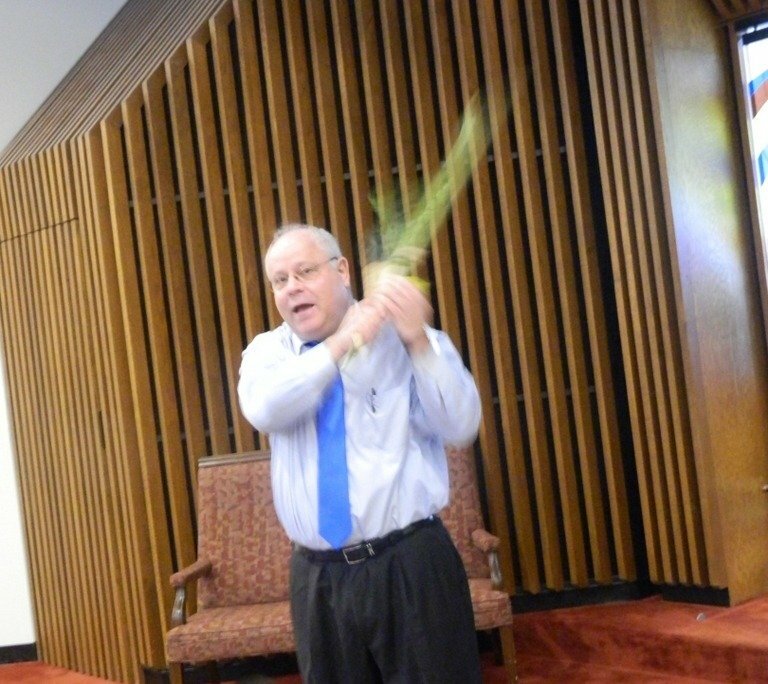 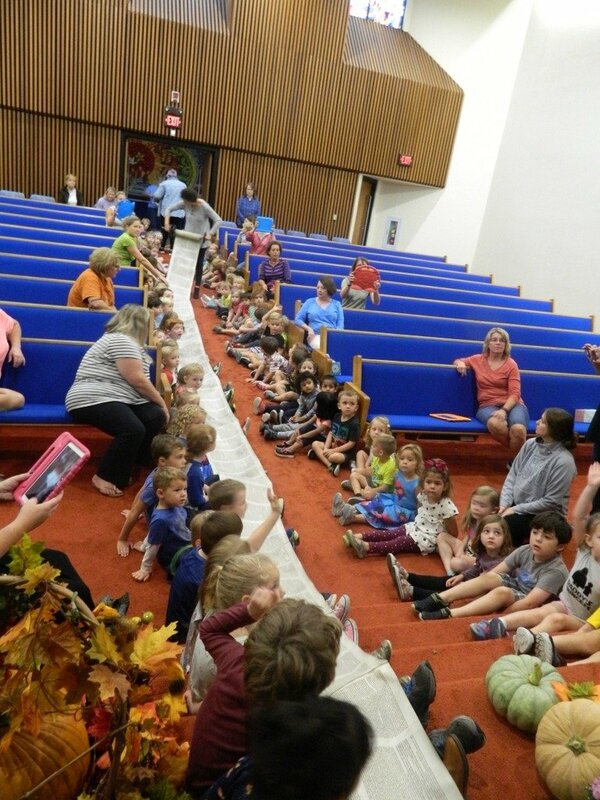 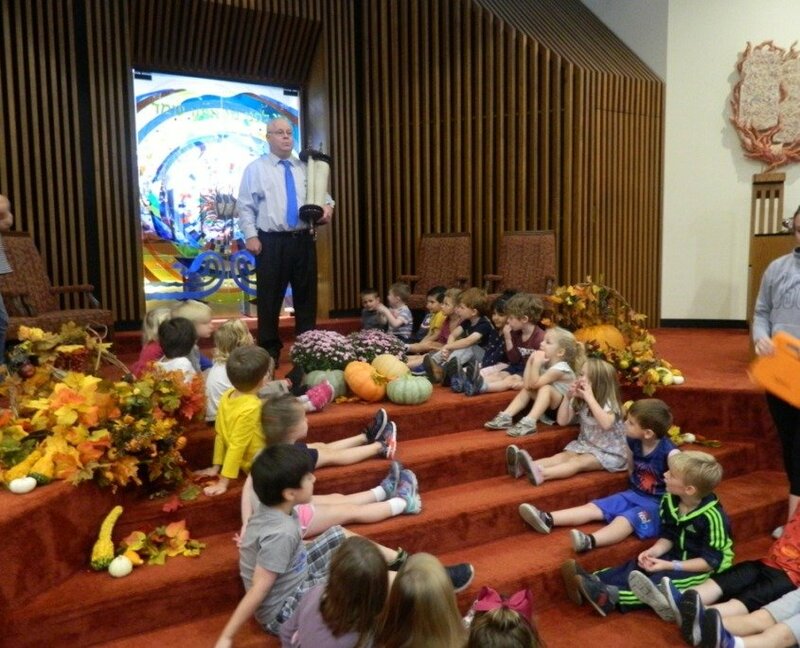 At the Temple Trager ECEC, we learn about their Biblical and historical basis as well as the songs, foods, symbols and games associated with each.